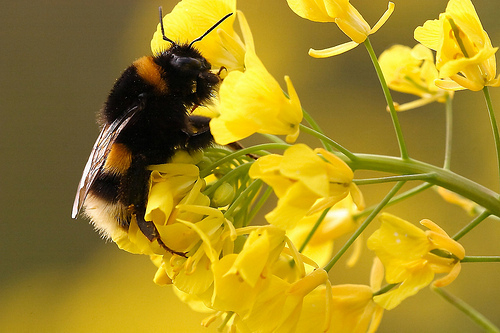 Large Earth Bumblebee on Rapeseed. Hugging its food like its the first meal in days. 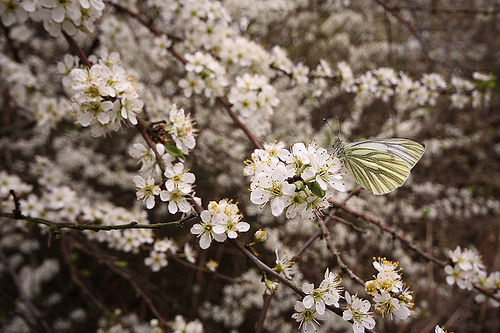 Green-veined White on white blossom. The sweet smell of blossom lured this White to it.